The Financial Times reports (via MacRumors) that Sony, Warner and Apple are still negotiating over the upcoming iRadio streaming service. The main issue seems to be the price, which originally was 6 cents per 100 tracks streamed.. Apple later raised it to 12.5 cents. Some music industry executives argue that cash-rich Apple should pay a higher rate than Pandora, which had 70m “active listeners” in April, because of its broader ambitions for iRadio. These include using data it already has from hundreds of millions of iTunes users to predict the selection of tracks they will enjoy, and a plan to allow listeners to purchase songs seamlessly via the iTunes store. 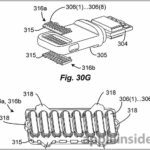 The report comes after The Verge reported last month that Apple was about to sign a deal with Universal Music for its iRadio music streaming service. A deal with Warner Music was rumoured to be close behind. Since Apple has plans to release the radio service this summer, a deal with Sony and Warner should be on Apple’s must-do list. 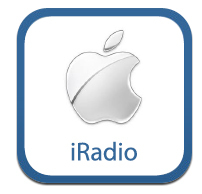 Keep your fingers crossed to see the launch of iRadio during WWDC 2013.